How many times have your bought a new piece for your wardrobe and had no idea what to wear it with? We’ve all been there. A few weekends ago Banana Republic inside Walden Galleria held a fashion show styling their latest collection for fall. Looks featured lots of layering and vertistility that would take you from work to cocktails, or school to work seamlessly. These multi-purpose looks had classic sophistication behind them but with slight twists. We saw dressier shoes paired even the most casual outfits for the guys and accents of leather items for the girls. 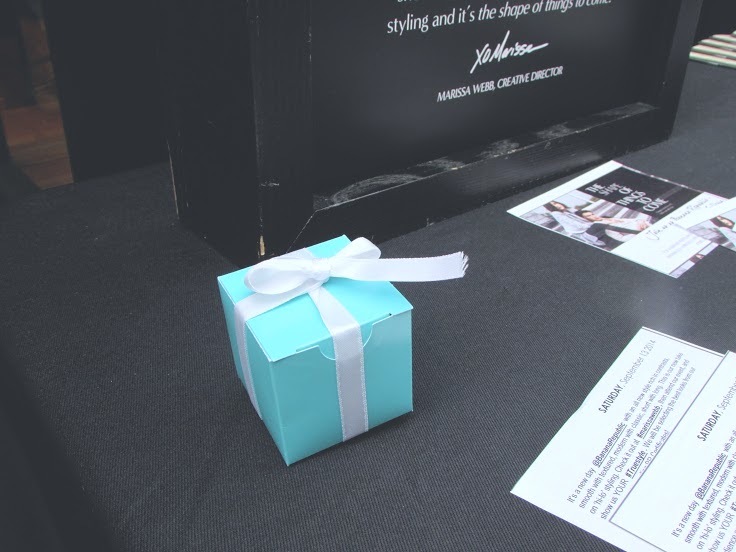 The day of the show they were also handing out what looked like little Tiffany boxes with $25 off coupons for mall-walkers with good style. I ended up with a black and brown quilted equestrian inspired vest, that has become an essential in my waredrobe ever since. I also bought one of the shirts featured in the show (look with camel sweater and white shirt underneath). What drew me to this was the longer almost boyfriend-like fit to it and that it’s thin enough to layer comfortably. Our C.O.O. Rachel Good, impeccably dressing up her sweatpants (a trend we’ve been seeing a lot this fall), is below with some of the girls featured in the show. 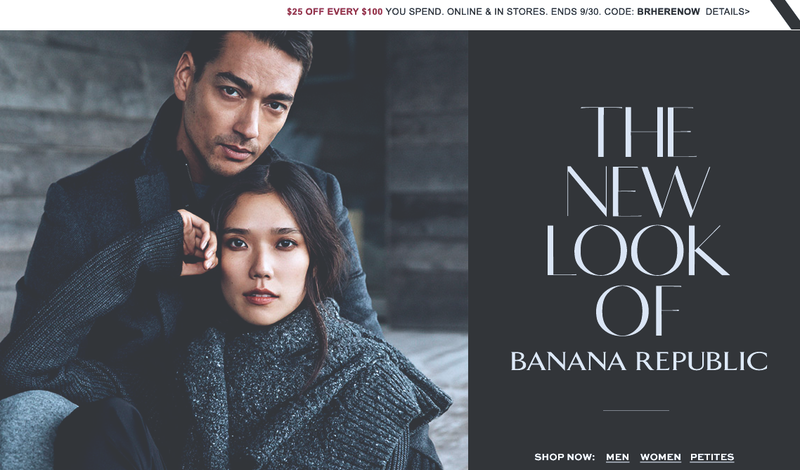 Banana Republic’s sales this season have caused some many style steals. Did you know if you shop online you can add things to your cart from their sister sites (Gap, Old Navy, Pimperline, and Athleta) all in one purchase? Right now you can get $25 off of every $100 you spend. Banana has always been one of my favorite stores, but let me tell you, they’re really on their A game.